Have you seen the Exquisite Uterus Project on Pinterest or when it was exhibited at Woman Made Gallery in Chicago, or in the Gail Floether Steinhilber Art Gallery, in Oshkosh or the Red Gym/Armory Gallery in Madison, Wisconsin? Did you wish you could have made a piece for the Project too? Here is your chance. This is a new call for proposals offering another opportunity to participate in the Exquisite Uterus Project and have your exquisite uterus exhibited with the existing collection, and potentially included in a future exhibition catalog (funding permitting). Interested artists and other motivated participants are again asked to embellish a plain cloth uterus "blank" (a square of organic white cotton canvas fabric with a simple black and gray medical illustration of a female reproductive system printed permanently on its surface.) Final works should be approximately 13" square. Participation is free except for the cost of purchasing the organic cotton canvas uterus and mailing. (It will cost $14.00 for a 'fat square' that included two uteri. You can give one to a friend). All proceed to the artist from the sale of this fabric will be donated to organizations working for women’s reproductive justice. Participants are invited to manipulate the blank uterus in any way their fertile imaginations desire, making their prodigious powers of self-expression and creativity obvious to all. If you want your piece returned you are asked to send it to the project organizers with a stamped self-addressed envelope for its return after the project runs out of exhibition request. Alison and Helen only ask that you don't take your uterus for granted. Claim it! Have fun with it but take your control of your own personal uterus very seriously. Take the time to think about what your uterus wants to say visually, and make it happen. You may use words, stitches, beads, dye, colors, paint, textures, images, sparkly stuff, fairy dust or whatever else inspired you. They have already received uteri both bold and shy, and even have some made by guys (there are already examples of uteri aprons, headdresses, and pillows, as well a exquisitely beaded gems and raw screaming demands to be heard). "It is your X#%@# uterus! Do whatever you want with it." Once the next round of uteri have been received the artists will follow the tradition of the motherhood of church ladies and assemble their collection of unique, individual, and righteously outspoken uteri for public viewing at our next venue in the Union Art Gallery of the University of Wisconsin-Milwaukee in September 2013. We also expect the collection to travel to other venues after, since the topic seems to be remaining all too timely. This version of the exhibition in Milwaukee will also feature the print portfolio curated by artist Meredith Stern entitled This is an Emergency! as well as participation by a small group of installation artists from the Milwaukee area responding to our current political climate surrounding women’s reproductive rights. 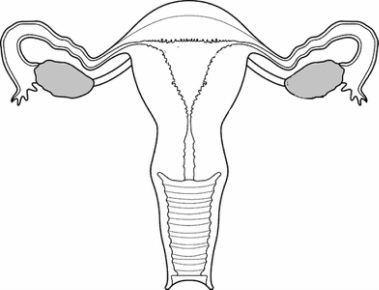 There are also plans in the works to start a crowd source funded catalog of the Exquisite Uterus Project as a fundraiser for reproductive rights organizations in dire need of continued financial support as they lose the funding they use to make all forms of good health care available to women at all economic levels. Stay tuned! Help spread the word that others are welcome to participate. Again, all artist proceeds made from the sale of this fabric will be donated to organizations working for reproductive justice. Indicate if you want the piece returned? If yes, please send in a returnable box with appropriate postage for the return. An optional Artist Statement welcome (Please keep under 200 words. A reduced version will be included on the pinterest site. Email your statement to Helen@Klebesadel.com).